Lexington, Kentucky – April 12, 2019 – Olympic veterans Margie Engle, Kent Farrington, Lauren Hough and Peter Wylde of the U.S.; Samuel Parot of Chile, Kevin Babington of Ireland, Sharn Wordley of New Zealand and defending champion Santiago Lambre of Mexico head an impressive list of 30 top show jumping riders who have confirmed their entries for the $225,000 Kentucky CSI3* Invitational Grand Prix presented by Hagyard Equine Medical Institute. The FEI-sanctioned event will be held on Saturday, April 27, in conjunction with the 2019 Land Rover Kentucky Three-Day Event presented by MARS EQUESTRIAN (LRK3DE) when it returns to the Kentucky Horse Park in Lexington, Ky., April 25-28, 2019. Land Rover Kentucky’s second annual CSI show jumping event will begin at 4:30 p.m. following the cross-country portion of the LRK3DE. Opening Ceremonies will take place at 4:00 PM. Showcasing some of the sport’s biggest names, the CSI is organized by Equestrian Events, Inc. (EEI), who brought in Derek Braun, founder of the highly-successful Split Rock Jumping Tour, to help manage the now two-year-old event. Guilherme Jorge, show jumping course designer at the 2016 Rio Olympic Games, returns as course designer. 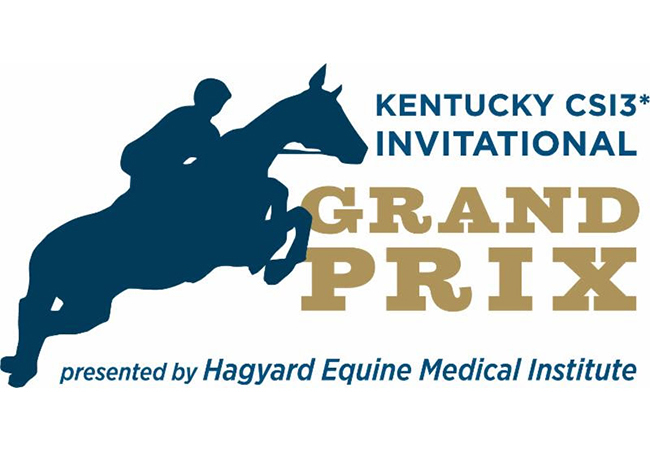 Stadium seating tickets for the Grand Prix are only $5 each – with $1 going to Land Rover Kentucky's 2019 Official Charity, Bluegrass Land Conservancy. There will also be a $36,000 Welcome Speed Cup 1.45m ranking class on Friday, April 26, at 6:00 p.m. in Rolex Stadium, after the day's LRK3DE dressage competition. No stadium seat ticket is required for the Speed Cup. Now in its 41st year, the LRK3DE is a thrilling competition featuring Olympic-level riders and horses from across the nation and around the world in what can best be described as an equestrian triathlon. Known as "The Best Weekend All Year," LRK3DE is a multi-day, highly competitive event in which the world's best horses and riders vie for their share of $400,000 in prize money, as well as a shot at the $350,000 Rolex Grand Slam of Eventing, which is awarded to any rider who wins the LRK3DE, Mitsubishi Motors Badminton, and Land Rover Burghley Five Star Events in succession. The event also serves as the Land Rover/USEF CCI-5*-L Eventing National Championship presented by MARS EQUESTRIAN. Jaguar Land Rover is the UK's largest automotive manufacturer, built around two iconic British car brands: Land Rover, the world's leading manufacturer of premium all-wheel-drive vehicles; and Jaguar, one of the world's premier luxury sports sedan and sports car brands.